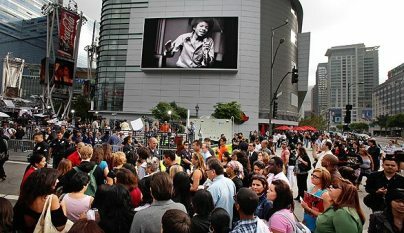 The much hyped and much anticipated public memorial for Michael Jackson was held today at the Staples Center in Los Angeles. 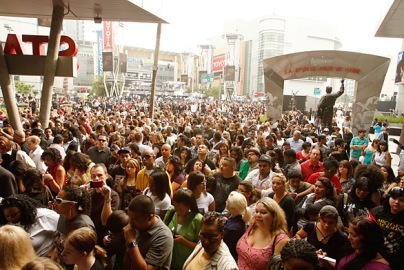 All things considered, it went off without a hitch. 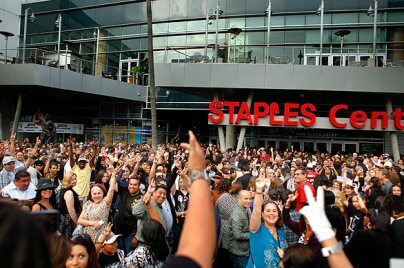 There were no reports of anything super crazy going on with the fans; in fact, the crowds were much smaller than the LAPD prepared for. 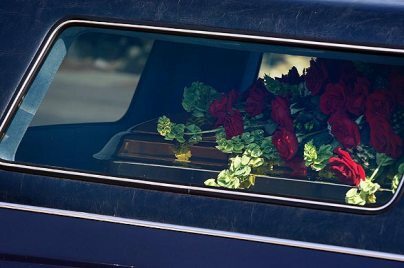 A little after 10:00 a.m. Pacific Time Michael Jackson’s casket – gold and covered in roses – was carried into the Staples Center by pallbearers, each wearing a sequined glove. 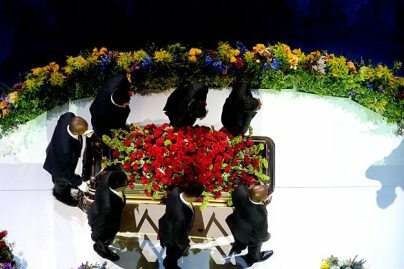 As the casket was taken to its spot on the stage, a gospel choir sang in front of a stained glass window backdrop and the standing crowd took pictures with their cell phones. 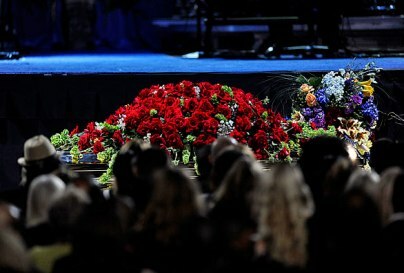 Michael Jackson’s children, wearing black and clearly devastated, sat in the front row next to their grandmother Katherine. 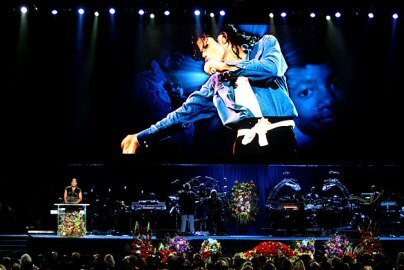 Celebrities from all facets of Michael Jackson’s life attended, with several giving heart felt performances and genuine speeches. 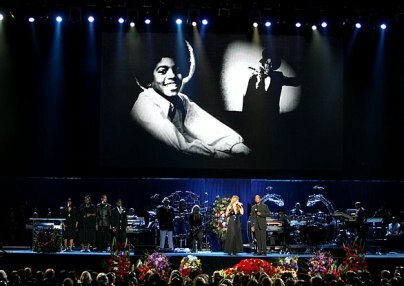 Mariah Carey and Trey Lorenz (a longtime collaborator of Mariah’s) sang Jackson’s “I’ll Be There.” A not-really-looking-pregnant Jennifer Hudson sang Michael Jackson’s hit “Will You Be There,” and John Mayer performed “Human Nature” on his guitar. 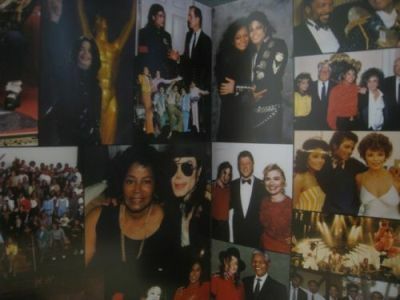 Brooke Shields also lovingly recalled Jackson trying to teach her how to do the moonwalk – unsuccessfully. 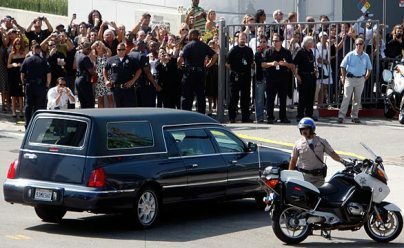 “He was caring and funny, honest, pure, non-jaded and a lover of life,” she said. 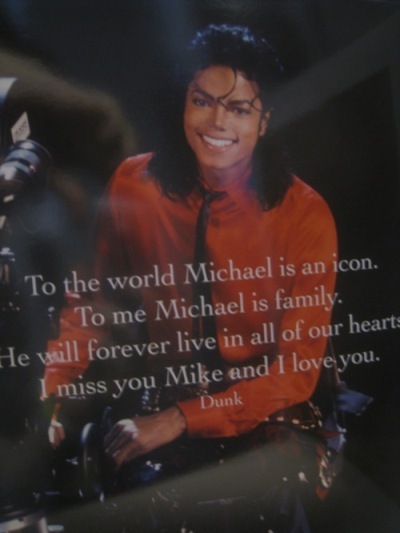 Side Note: Listen to Michael Jackson talk about his connection to Charlie Chaplin in his own home movies at Dana’s Dirt. 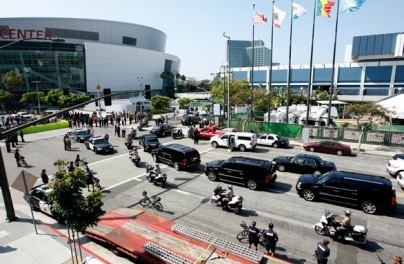 Visit L.A. Times for more Michael Jackson memorial performances and speeches. 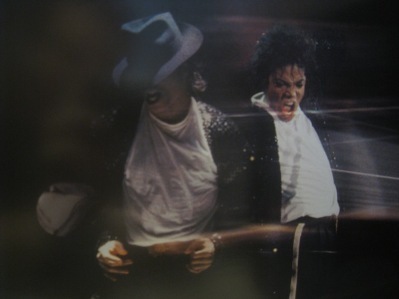 Side Note: No matter what you think of Michael Jackson, you can’t hold that against his kids. All they know is that they’ve just lost the single most important person in their life – they’re DAD. 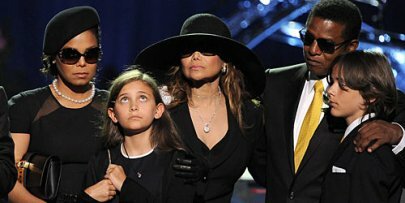 My heart goes out to Prince, Paris, and Blanket; I cannot even fathom the pain they are feeling right now. 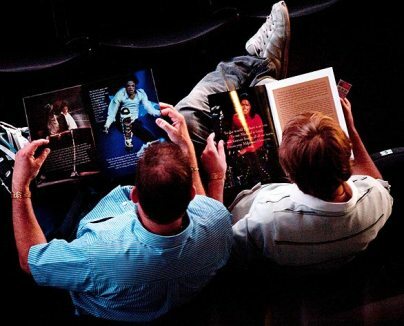 The Michael Jackson memorial booklet is full of quotes from some of the King of Pop’s family and closest friends, and includes a ton of great photos. 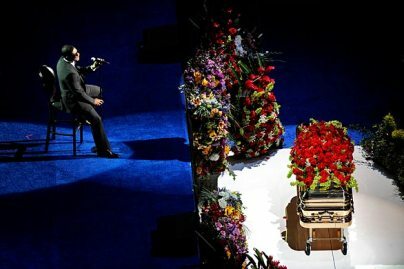 It’s a look back at Michael Jackson’s life – a way to mourn his passing and celebrate his life all at the same time. 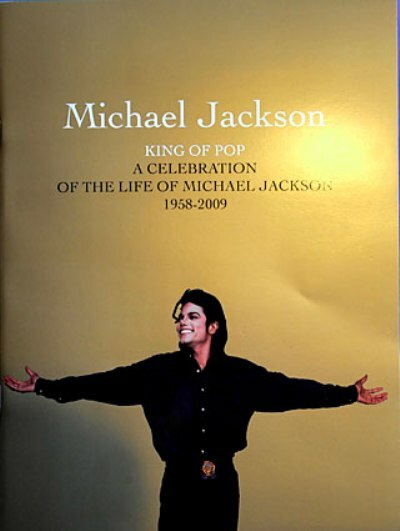 See more Michael Jackson memorial booklet pictures at Celebrity Smack. 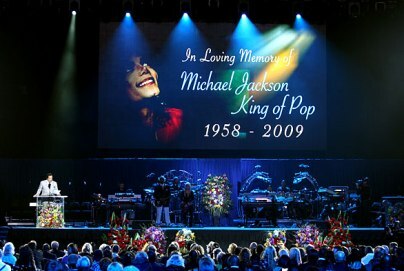 Rest in Peace Michael Jackson…..the world won’t be the same without you. 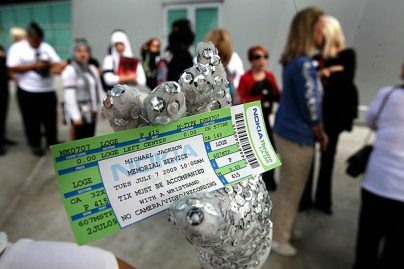 next post: Michael Jackson Latest: Was Michael Jackson A Junkie? 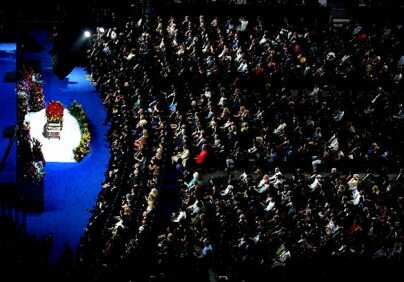 wow i cried when i was watching the memorial.. i was so loud that mum told me to shut up and go to sleep..
49 queries in 0.659 seconds.